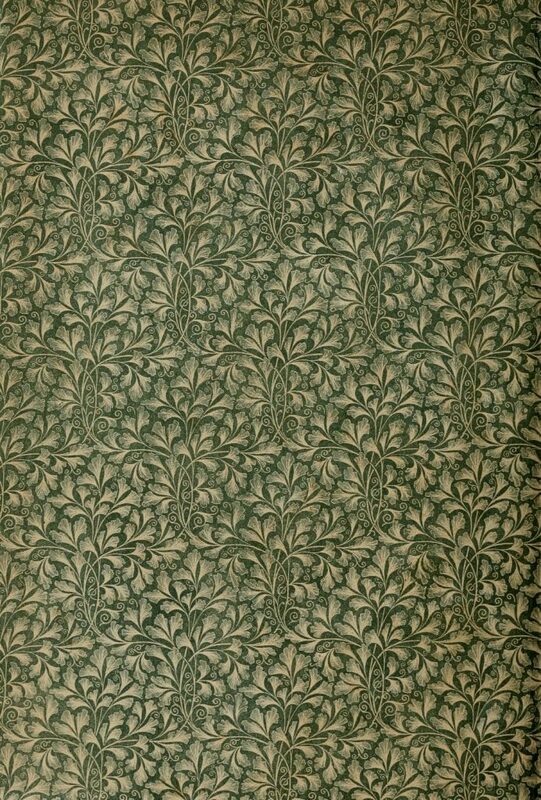 Pretty green leaf endpaper and all over background pattern from 1887. It decorated Records of stag-hunting on Exmoor written by Sir John William Fortescue (1859-1933). Dark green leaves on a beige background. There is a bit of foxing on the paper; giving it a nice vintage look without damaging the overall appeal of the design. The leaves remind me of one of the more exotic fern species. The green leaf endpaper is a so big it would cover an entire page if printed. The image you see here is a smaller version. To access the larger version, just click on the image below.